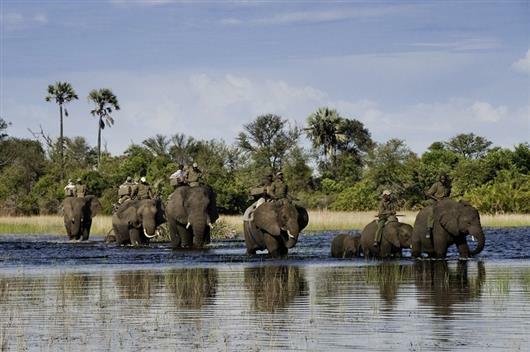 Abu Camp is situated in a vast private reserve of 180 000 hectares (400 000 acres) in the heart of the Okavango Delta. 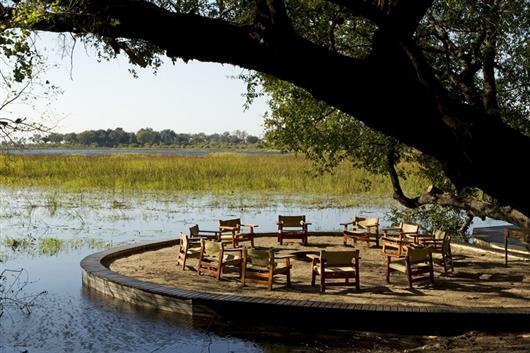 The camp is located in a grove of magnificent hardwood trees on the edge of a lagoon at the edge of the Okavango Deltawith a resident school of hippo. 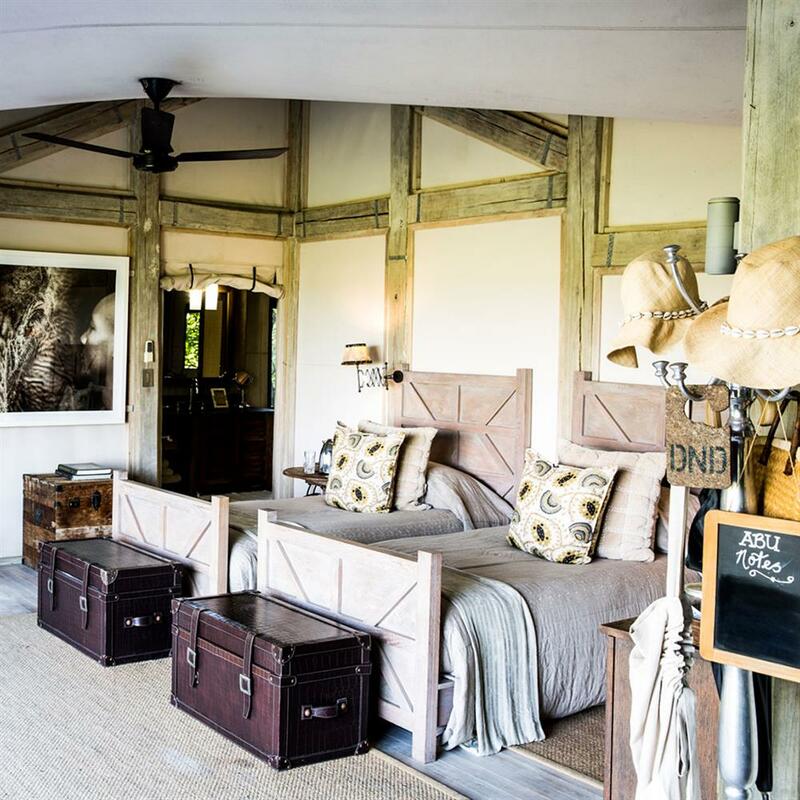 Accommodation consists of unique safari tents: high ceilings, wide and airy spaces, blending in with the natural surroundings. 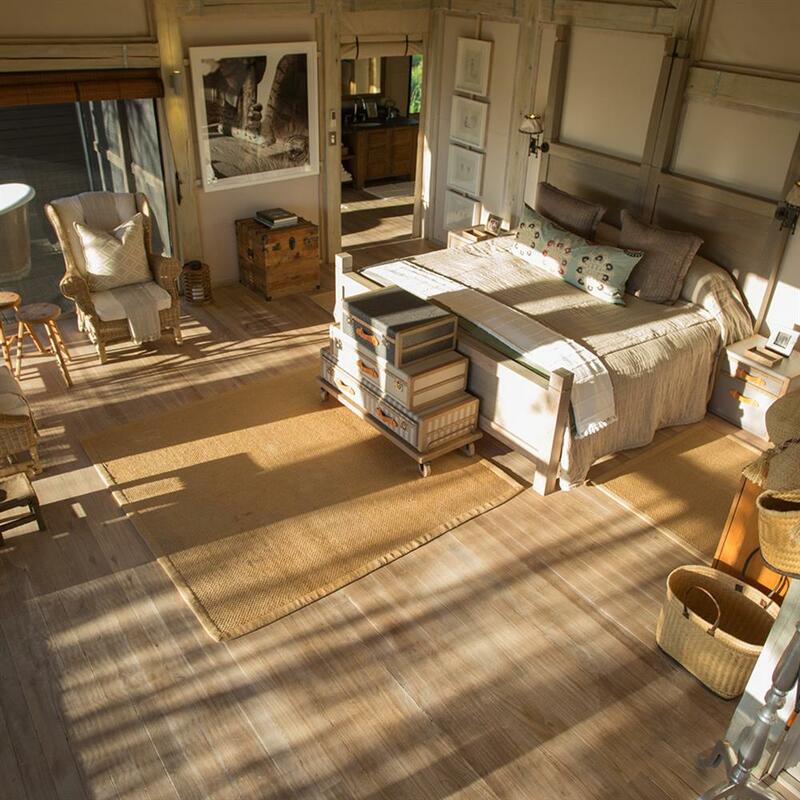 Each of the six en-suite accommodation units has its own private elevated teak deck with vistas the likes of which only the Okavango Delta can boast. Well-lit pathways link the tents with the main lounge and dining area. 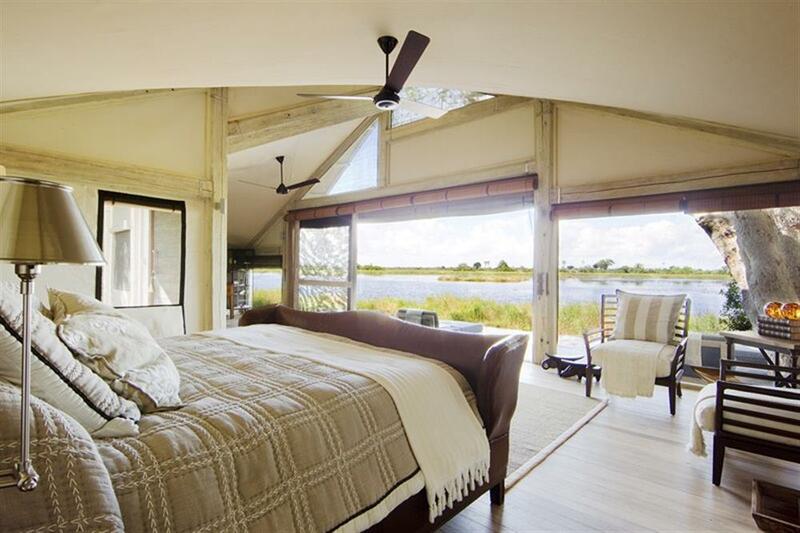 High vaulted tenting opens out onto a tiered teak deck surrounding a giant termite mound, one of the characteristic sights of the Okavango Delta. 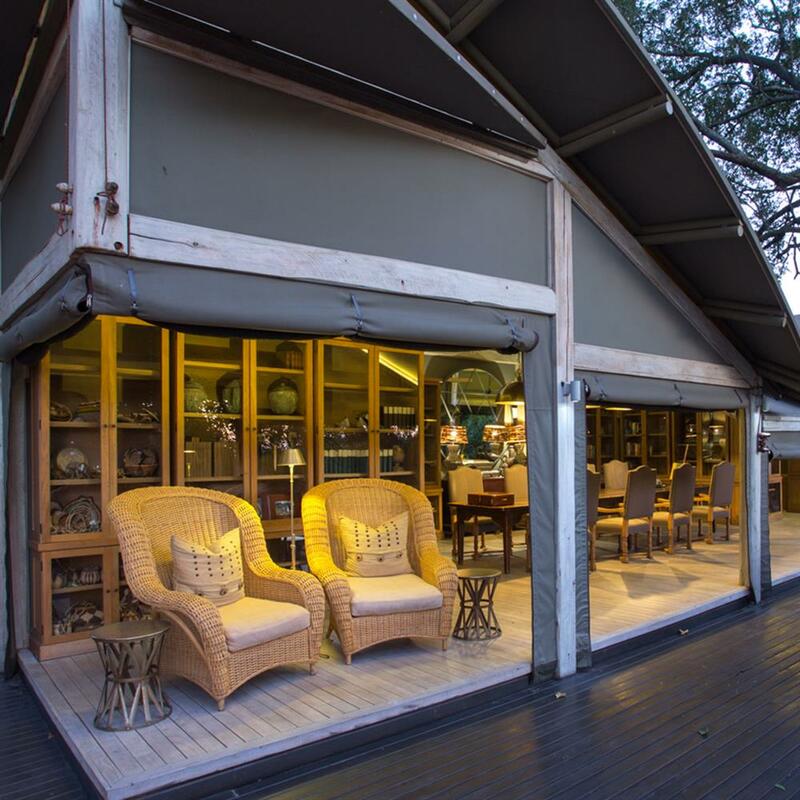 A well-stocked bar provides drinks and cocktails for post-safari sundowners around a camp fire while most of the meals are taken al fresco on the deck. Nearby a secluded plunge pool enables guests to cool off and relax. Abu Camp is unique in the Okavango Delta in that it allows guests to interact with the resident elephant herd, meeting each individual and initiating a journey into the complex behaviour of the largest land mammal on Earth. Guests are invited to become part of the elephant herd during their stay; watching the evening feeding, sharing the simple joy of a frolicking youngster, and accompanying them on foot as they move through the bush. These elephant encounters provide unforgettable magical moments. And viewing wildlife from atop an elephant allows a closer approach to other animals than can be achieved when simply walking as an obvious human figure. Abu Camp also offers morning and afternoon game drives, night drives and nature walks to view the abundance of fauna and flora in the area. During the seasonal floods of theOkavango Delta, guests are invited to take to the waters in the mokoros, the traditional poled craft used in the Okavango Delta.